First and foremost we truly believe in offering outstanding customer service and doing so in a way that puts a smile on your face as well as ours. 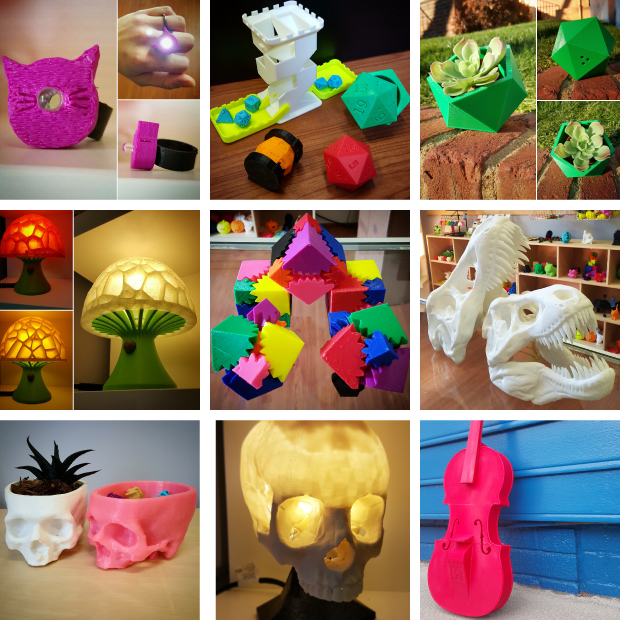 After all, 3D printing is all about creativity and making new ideas come to life. What could be more fun than that? At 3D Central we will do our utmost to take good care of you and answer your questions in a timely and efficient manner. 3D Central is committed to helping you understand and benefit from this exciting and ever changing new technology which means sharing our knowledge and passing on what we have learned from others. To this end, 3D Central offers a variety of training programs for individuals and groups. 3D Central has selected the best value for money printers available for the customers we have chosen to support. Our criteria include quality, ease of use, speed of print, versatility, size and of course price. And we continue to review this line up on a regular basis as new models enter the market. This is our bread and butter business. Need one, ten or even a hundred of something printed. Drop by, send us a file or give us a call for a quote. You’ll find our prices competitive and our turn-around time flexible to meet your needs. If you wish to customize one of our standard products with a different color, size or engraving, click here. If it’s something new or a custom job, no problem. Just click here to fill out a few basic details and we’ll get back to you. 3D Central’s staff include engineers, designers, and general business consultants with a wealth of knowledge across a wide range of topics directly and indirectly related to 3D printing. Together we can help you develop, produce or even market your idea. Drop by our store, shoot us an email or give us a call. We’d be happy to assist you. Purely for fun or for business purposes, we offer 3D scanning. Come on in and have you or a loved one scanned and printed. These make great mementos or gifts. And if you can hold them steady enough we’ll even scan your pet! Learn more.